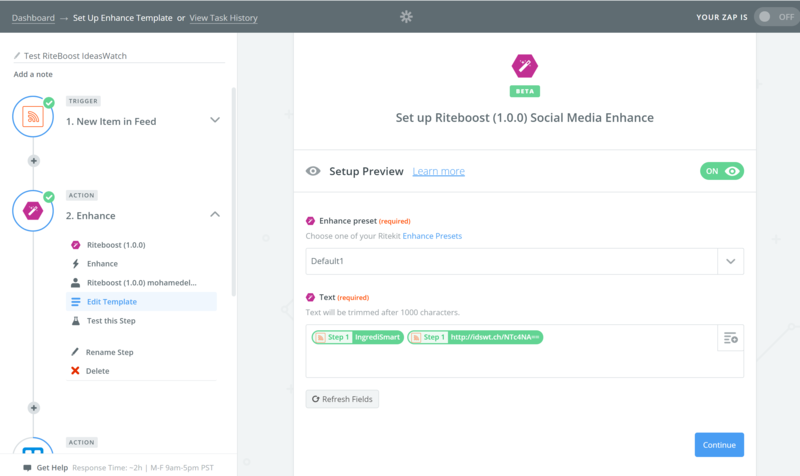 Use RiteBoost Enhance in Zapier to automate auto-hashtagging, image creation, adding CTAs to links and much, much more. 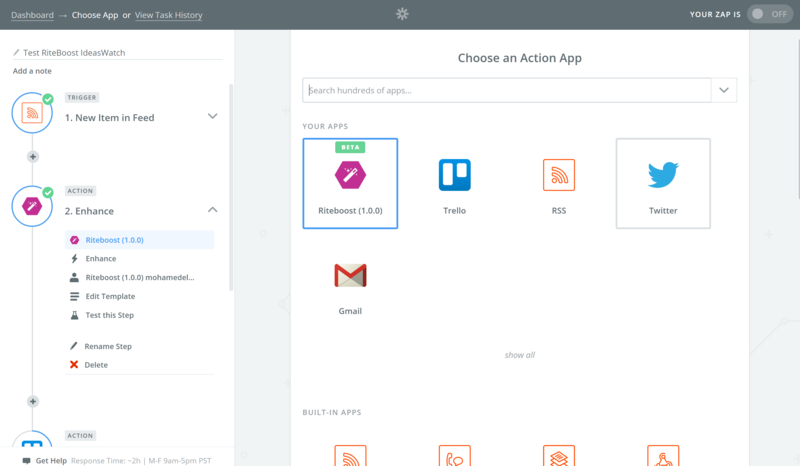 In addition to the many integrations in Bulk Creator, you can use Zapier free to Enhance what you import from or send to Hubspot, Meetedgar, ProductHunt, Salesforce, Instagram, Constantcontact, Tumblr, Pushbullet, Sumo, Sendgrid, Zoho, Marketo, CoSchedule and many other services. 6. 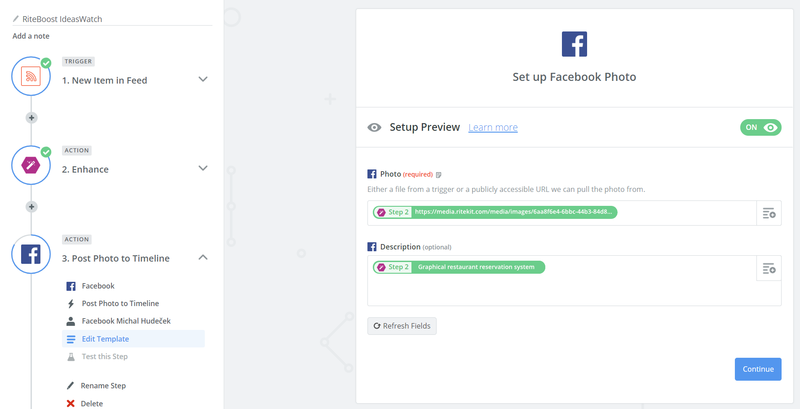 Connect your RiteBoost account by copy-pasting your Client ID and Client Secret from RiteBoost Dashboard to Zapier. This has to be done only once. You can skip this step in the future zaps. 9. Show us your Zap using RiteBoost and we'll share it like mad! Just send screenshots of the elements (with all the details, if possible, steps opened to show what you have in them) of your Zap, also with a link to or screenshot of the output.